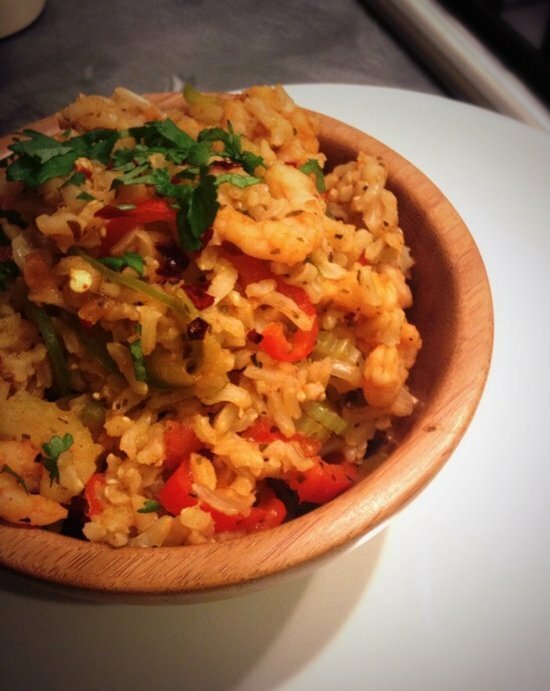 I love prawn jambalaya but as a midweek meal it often takes too long to make. This is a really quick prawn jambalaya recipe, so there are cheats. Firstly I used the Tilda wholegrain pilau steamed basmati rice which you microwave in 2 minutes so there’s no slow cooking of the rice with the vegetables in the one pan – they are quickly added together at the end. This recipe also uses smoked garlic – as it gives a lovely rich smoky flavour to the prawn jambalaya.